I'm calling it. It may not technically be summer but I'm calling it out right now and this sun means it's already started for me! 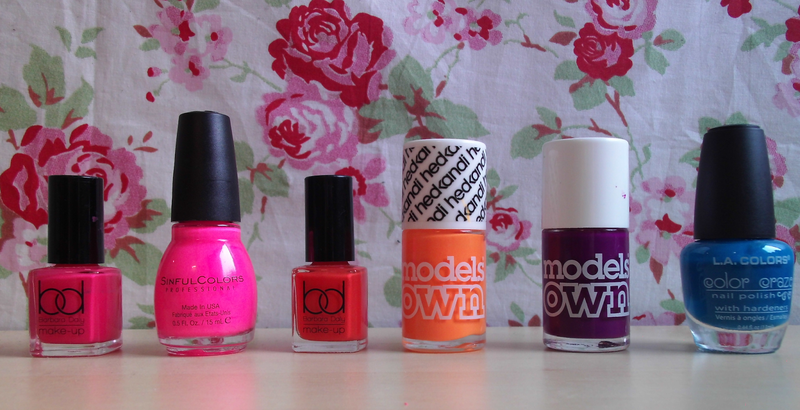 And that means brights - bright clothes, bright shoes, bright nails, bright lips... bright everything! Today, I'm getting out my bright nail polish. As you can see, I'm feeling a little bit of neon! 'Neon Pink' and 'Salsa' are actually a lot brighter than they're showing - '24/7' and 'Beach Party' are just so acid neon that they sort of mute them a little but I promise they are actually quite bright! 'Beach Party' is always a favourite of mine when it's really sunny because it stands out and is just so in-your-face and I love it! 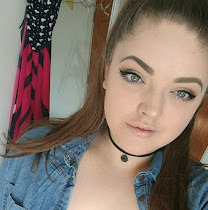 What are your favourite from my picks?